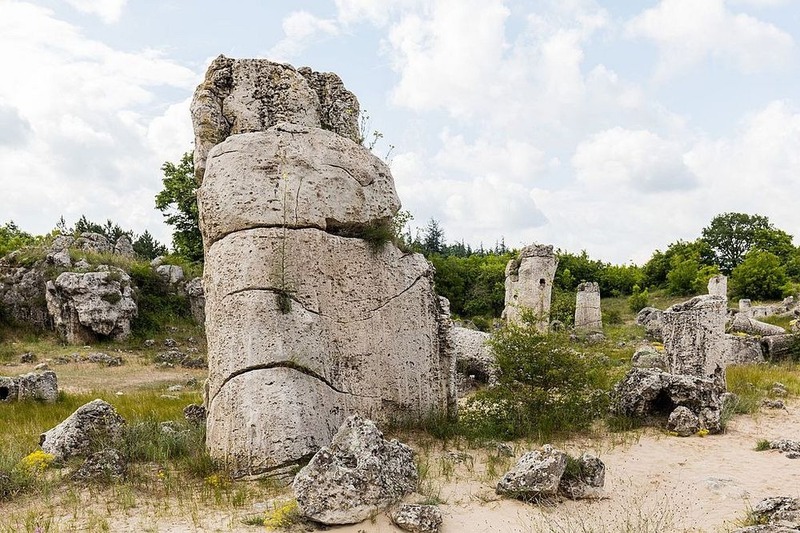 Well, there’s almost 18 km to the west of Varna, Bulgaria, on the road to the capital of Sofia is an amazing natural area named “Pobiti Kamani” or the Stone Forest. 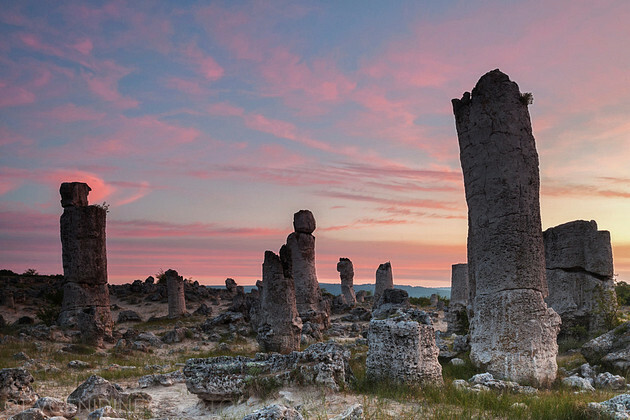 In the first glance, it looks like the ruins of an ancient temple, but these broken stone pillars are all natural. The stone columns are scattered in lesser groups across an 8 km long belt along the northern Bulgarian Black Sea coast. Although they’re varying in height with some reaching 5 to 7 meters tall, and thickness ranges from 30 centimeters to 3 meters across. 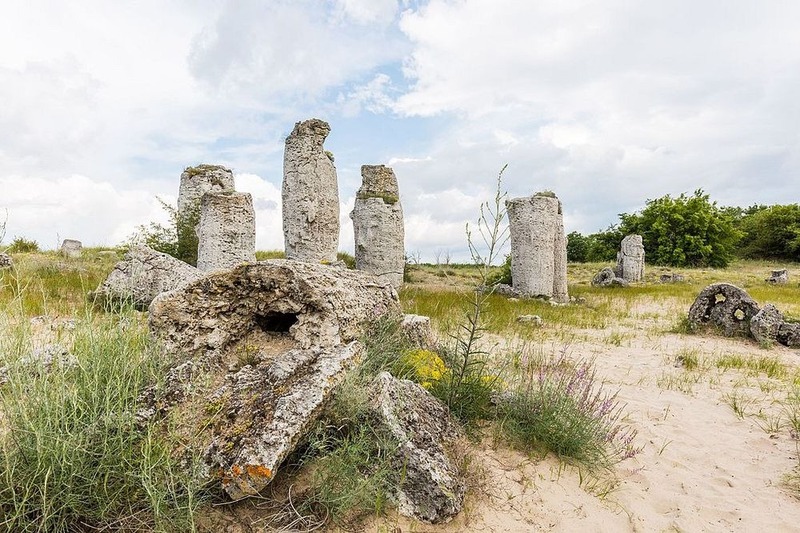 Therefore the most inquisitive thing about these pillars is that they are mostly hollow and filled with sand. They don’t have a firm foundation or attached to the bedrock. In its place, they’re insecurely stuck into the surrounding sand as if someone had hammered them into the earth. Moreover, these stones have been identified since the ancient times but in 1828, these were first documented by the scientific community. Hence, since then, dozens of theories have attempted to clarify their formation, ranging from coral growth to Eocene bubbling reefs, to limestone concretions. 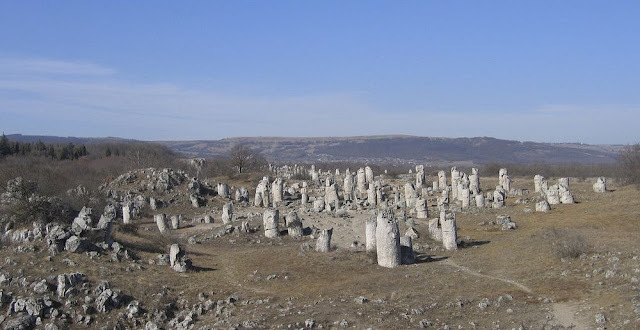 Though, one of the most believable explanations comes from the Bulgarian geologist’s brothers Peter and Stefan Bonchev Gochev. The brothers trust that the columns date back to the Cenozoic Era, about 50 million years ago, when much of Eastern Europe was covered by oceans. Sediments and sludge settled to the bottom of the seabed, and were compressed into limestone. However, sometime later methane gases from ancient deposits taking place seeping from the sea bed. As the results they pressurized gases made their way up through the limestone layer, they left behind long tubes. 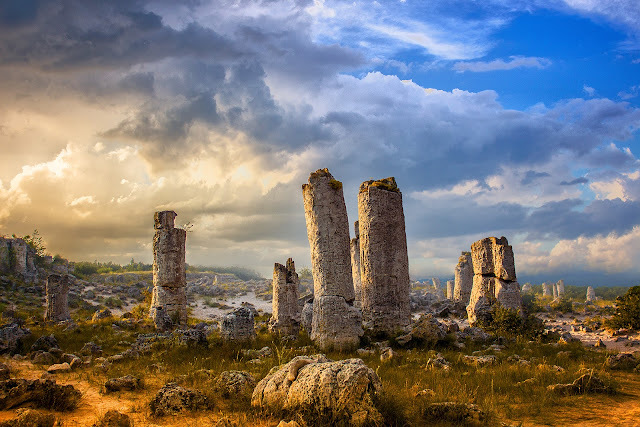 Further, millions of years later after the sea receded away; the erosion process of the limestone layer left the tall columns stuck into the ground. The gas-seepage theory doesn’t explain everything, but it’s the best we have. 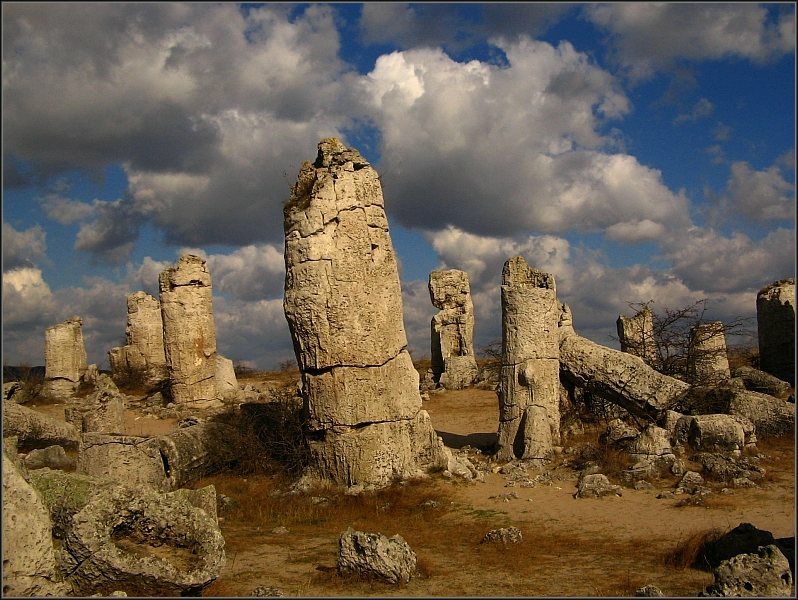 The “Pobiti Kamani” was designated a natural landmark in the late 1930s. 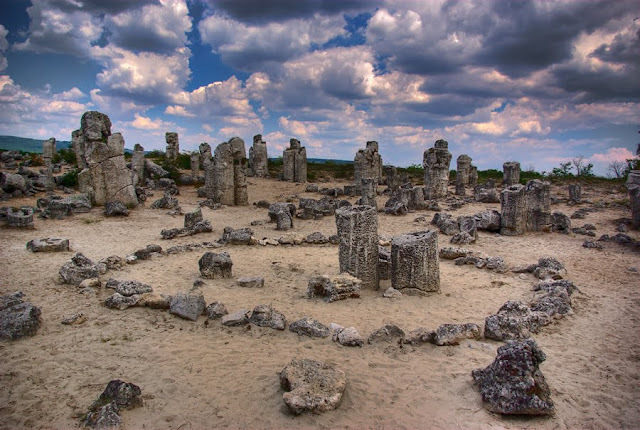 Therefore, it was nominated for the “UNESCO World Heritage Site” status in 2011, but hasn’t been able to make the cut.